The ANNETTE LYON COLLECTION contains brand new contemporary romance novella OUR SONG, as well as five hand-picked readers’ and reviewers’ favorites of Annette’s popular Timeless Romance Anthology novellas. Readers will love this selection of three contemporary and three historical romance novellas. In OUR SONG, a charming romance novella, Cassie and Matt have been dating in the Yellowstone area for two years, and things are, well, average. When Cassie meets up with two college friends who are visiting, their love lives like sound like fairy tales: rose petals, chocolates, candles on the beach… Cassie goes home feeling like she’s missing out. After all, repeatedly watching Old Faithful erupt and walking through sulfur-smelling gases at Fountain Paint Pot don’t exactly say “romance.” Maybe things with Matt aren’t going anywhere, and it’s time to move on. Then she discovers that perception and reality are completely different things. Now she can only hope it isn’t too late to show Matt how much she really cares. In the sweet novella GOLDEN SUNRISE, Natalie takes time out of her crazy schedule to fly to Vegas for her best friend’s wedding. Sierra and Jason, high-school sweethearts, are finally getting married. Fortunately for Natalie, her old high-school flame, Adam, has a work commitment and can’t be there as best man. But when she arrives at the wedding rehearsal—late and ragged—Adam is there. When Adam makes a wild suggestion, Natalie just may take him up on it, even though she knows he’s moved on. A single choice may mean Natalie is taking a shot at reclaiming the past—or that she's putting her heart in harm’s way a second time. FIRSTS AND LASTS, an enchanting novella, begins with Dani’s last week in New York. She’s failed in her dreams to catch a break as an actress and is now ready to return home and dust herself off. As she visits the places on her final to-see list, she meets Mark, another New York City transplant with big dreams. Except Mark hasn’t given up on his. As they spend the day together, Dani realizes that even though she hasn’t hit the “big time” she might be living her dream after all. Only problem: she has a one-way ticket back home. In the compelling novella WAR OF HEARTS, Anna, a journalist, is desperate to escape the magazine where Pete, her now-former boyfriend, also works. Heartbroken and still in love with him, Anna snags an assignment to cover the Winter War in Finland. She arrives at a snowy Finnish battlefront only to discover that Pete is already there—as her photographer. She’s determined to be professional about the situation until a battle breaks out in camp, putting her and Pete in harm’s way and putting their love to the test. The captivating novella BETWEEN THE LINES follows Jane Martin, who is intelligent but extremely shy, especially around men. When the Aid and Cultural Society proposes a letter-writing program, Jane signs up, hoping she can find true friendship. The program doesn’t run as smoothly as expected, and unknown to Jane, one of the men in her city becomes her writing friend. Thomas Allred has always known shy and quiet Jane, but reading her letters written to his secret persona, opens his eyes to what an amazing woman she is. The only trouble is, Jane doesn’t know that the man who she is falling in love with through letters is also Thomas, the man who is falling in love with her in person. In the charming novella A TASTE OF HOME, we meet Claire Jennings, who’s on her way to spend Christmas with her family. As she rides the train with William Rhodes, who grew up across the street, memories of the past flood her mind. He may be twenty-one now, but she can’t forget his torturous teasing from their school years. At the rail station, Claire discovers her home is under quarantine because her little brother has measles. She's stuck in town, away from her family, on her favorite holiday, with William. 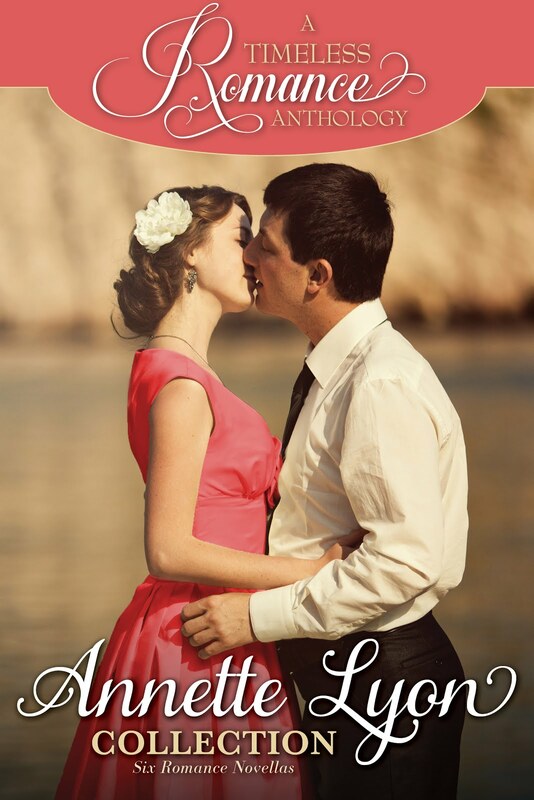 I have read several Timeless Romance Anthologies and Annette Lyon is one of my go-to authors for clean romance, so this was a collection I looked forward to reading. Comprised of 5 previously released stories and 1 new addition, this collection has a little something for everyone - from historical to contemporary. Our Song is a new story released for the first time in this collection. It's a sweet contemporary romance that reminds us that Hollywood's idea of love isn't necessarily as great as it looks. Golden Sunrise was previously released in the Summer Wedding Colleciton. Another contemporary that offers a couple a second chance at love. Firsts and Lasts is from the Summer in New York Collection. I loved this one when I read it the first time and it was so fun to revisit. Sometimes, love walks in when you least expect it. War of Hearts is from the European Collection. It takes place during the Winter War in Finland. While you'd think a war story would be depressing, this story not only told of how a couple was able to reunite quite literally on the other side of the world, but some perhaps lesser known details of WWII were brought to light for me as well. Between the Lines was included in the Love Letter Collection. I thoroughly enjoyed how this romance developed through letters. Letter writing is becoming somewhat of a lost art so it was fun to go back in time and remember the power of the pen. A Taste of Home is the final story and it came from the Silver Bells Collection. It's a delightful Christmas-time story that reminded me of Gilbert Blythe and Anne Shirley. Such a sweet story. Timeless Romance Anthologies are my favorite quick afternoon reads. Each collection has been a delight and this edition is no exception. Honest disclosure - I received a copy in exchange for my honest review.